Do you have manager meetings? I’m not talking about the passing-in-the-hall quick conversations, but actual sit-down meetings where you focus on moving the business forward? If you are having sit-down meetings, do you think they are effective? You must have sit-down manager meetings to make sure you get your message across in a manner that everyone understands so that they can execute what you want done how you want it done. These kinds of meetings facilitate communication and where you get things done. A true manager meeting is scheduled on a weekly basis. It’s not a five-minute tirade over what didn’t get done at closing the night before. It’s a weekly, scheduled time, set aside to review goals, expectations and challenges and then brainstorm solutions. Meet with your general manager and communicate the goals for the next week. Gather your general manager’s priorities. This is your opportunity to make sure your general manager is on the same page as you. You are also setting the general manager up for success to conduct an effective and efficient managers’ meeting. SIDE NOTE: Step one applies to every restaurant owner whether you have a partner or not. The only difference is when you have a partner, this step becomes even more important. If you want to ensure attendance, make sure everyone understands the meeting is mandatory. Do your managers a favor ad make sure to switch up the days of the mandatory meeting so that the same employee isn’t coming in on his or her day off. Every. Single. Time. You can still set this up on a regular schedule so everyone can plan to attend the meeting, but rotate the day of the week when you have the meeting. An example might look like this: Owners meet on Tuesday allowing the general manager to complete the budget variance reports for the past week so the owners have the numbers. On Wednesday, the owners and general manager meet to get on the same page and set the agenda. On Thursday, the general manager conducts the managers meeting. The agenda should include such things as a start time and a finish time and topics to be addressed as well as who is responsible for addressing each topic. Make sure you have your numbers and appropriate reports, such as your prime cost targets, key item report, waste sheets, marketing materials, etc. Have everything ready so when you hand out the agenda, everyone has everything they need to be successful. Be sure to stick to this agenda. If and when a NEW topic comes up, make sure you determine if it should be tabled until the next meeting or if you need to set up a sidebar meeting after the manager meeting. Do not add it on the fly. When you don’t control the topics, start and stop time, manager meetings go forever. They should only run 60-90 minutes. Anything longer than 90 minutes frustrates managers because they feel you don’t value their time, and they start tuning you out. One of the biggest questions I get all the time is, “I’m the owner, shouldn’t I conduct the meeting?” The short answer is NO, unless you fulfill the general manager role as well. Your general manager is supposed to execute the plan. He or she is going to be held accountable for these goals, so you need to put them in a leadership role and demonstrate that the general manager is the other managers’ direct supervisor. When conducting the meeting, the general manager should only be talking about 20 percent of the time and clear expectations must be laid out. This is because your managers have come to the meetings knowing what they are responsible for because you have assigned them their duties in step three. They will have brought the correct information from cost of goods sold, labor costs, employee issues, project updates, etc. They should present to the group on their areas of responsibility. You want every manager engaged and participating in the meeting. This is part of communicating your expectations clearly, helping everyone on the team understand what needs to get done, how you want it done and by when. Assign someone to take notes and then distribute the notes to everyone. This keeps everyone focused on moving forward. No one has an excuse as to why they didn’t get their part done because it was recorded and circulated. If you’re tired of things not getting done, tired of not making the money your restaurant should be making and/or tired of being frustrated daily with everyone’s performance — owner or manager — then you’ll want to follow these seven simple steps. Just remember it’s not only about being organized, it’s also about being consistent. This comes from conducting the managers meeting weekly. This way, next week you can measure. That which we measure improves. TheRestaurantExpert.com offers an exclusive online restaurant management software designed specifically to meet the complete operational needs of independent operators, including holding their managers accountable and running a profitable business. Combined with one-on-one coaching and group workshops, TheRestaurantExpert.com is helping independent restaurants find success in the highly competitive restaurant industry. Download a free report to discover the #1 secret to lowering food and labor costs and running the independent restaurant you’ve always dreamed of. 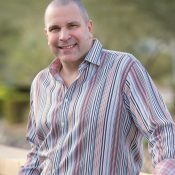 David Scott Peters is a restaurant consultant, event speaker and founder of TheRestaurantExpert.com, a company committed to the success of independent restaurants.